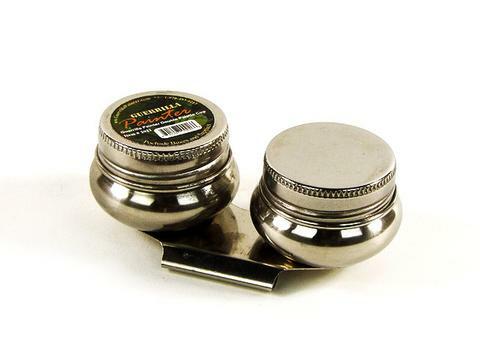 Stainless steel cups mounted to a bottom clip that slides over the edge of your palette. Wide mouth makes this easy to use under field conditions without damaging brushes. Screw on lid with a replaceable gasket keep the palette cup from leaking during transport.